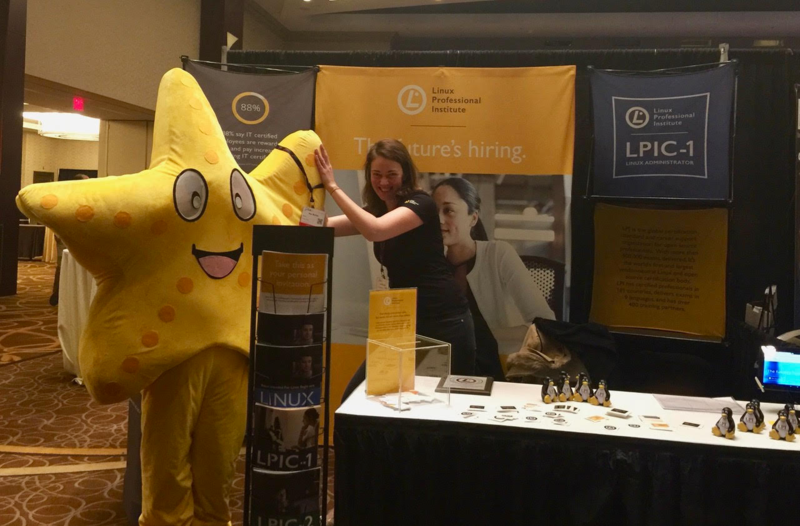 In July last year I joined LPI – a non-profit organisation run to serve the shared interests and needs of the open source community. In support of our community, LPI attends the industry’s leading open source and Linux events each year – and this year I joined the team in attending SCALE 15X, the Southern California Linux Expo, which gathers IT enthusiasts from around the world to discuss the latest trends in open source operating systems and software. LPI’s new Linux Professional Institute DevOps Tools Engineer certification resonated extremely well with our audience. Interest was high, and so was the willingness for contribution from their side. As you know, our certification development process includes obtaining feedback from our community, and so communication with our community is hugely important to us. Interest in our LPIC-2 certification was higher than usual. Does that mean that many already hold LPIC-1 certifications, and are using LPI’s certification development guidelines to help advance their career? The event was inspiring – and not just because it gave me a chance to exchange some really interesting ideas about our new and existing certifications. As a woman, it was also incredibly motivating to see so many female attendees! Certainly, while IT has always been a (heavily) male-dominated industry, the tide is beginning to turn. As a woman studying technical sciences in the mid-nineties in Eastern Europe, I was always outnumbered. Several years later, and we’ve made some serious headway. Some of our booth visitors at SCALE 15X shared that 3 in 10 attendees were women – and some even reported a higher percentage of 2 in 5 (although that might be a little optimistic). Ok, so it’s not equality. But it is genuine progress. Studies show that girls as young as 6 already consider some professions to be exclusively for boys (which might explain why the tech sector simply doesn’t attract the female talent that it needs). So, to conclude, talking with ambitious people about getting certified in Linux and DevOps, and discussing new and exciting potential career paths, made me remember why I joined LPI. This is what education in open source is all about: regardless of background, circumstance, race or gender, the world of technology is now open to us all. Jasmina Jocic joined Linux Professional Institute, LPI in mid-2016 in the capacity of Project Manager. She holds M.Sc in Electrical and Computer Engineering, and she is trained and certified in project management. Connect with Jasmina on LinkedIn or via email (Jjocic at LPI.org).